Originally from London, Niki moved to Sweden in 2004. She lives with her husband, two daughters and stepson in a house by the sea in Skåne. Niki started My Scandinavian Home blog in 2011 with a simple vision: to inspire like-minded people with ethereal Scandinavian inspired homes often with a vintage touch. She is also the author of three books – Lagom, The Swedish Art of Living a Balanced, Happy Life, The Scandinavian Home and Modern Pastoral. 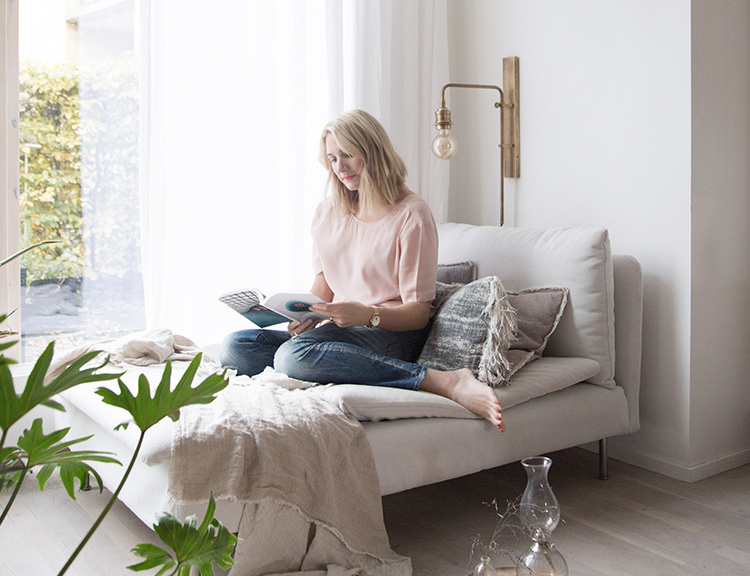 In March 2019 Niki founded My Scandinavian Home Studio - an online interior design service helping people around the world to transform their homes into beautiful havens - one room at a time! Think of all the moments you wished you had a couple of extra hands and someone with a creative soul to help and Felicia would sure to come in handy! Felicia is creative, outgoing and never afraid to try new things. Her heart beats a little faster when it comes to projects related to visual communication and interior design. Felicia has a bachelor's degree in architecture and visual communication and is currently studying Content Management, illustration and visual merchandising. She is based in Landskrona, Sweden. Fun facts: Felicia is a crazy plant lady, can't live without coffee, she's passionate about photography and obsessed with interior design.